A well presented three bedroom semi detached property situated in Ashland, Milton Keynes. The house benefits from an integrated kitchen, lounge/diner and rear garden. To the side there is a single garage plus off road parking for two vehicles. 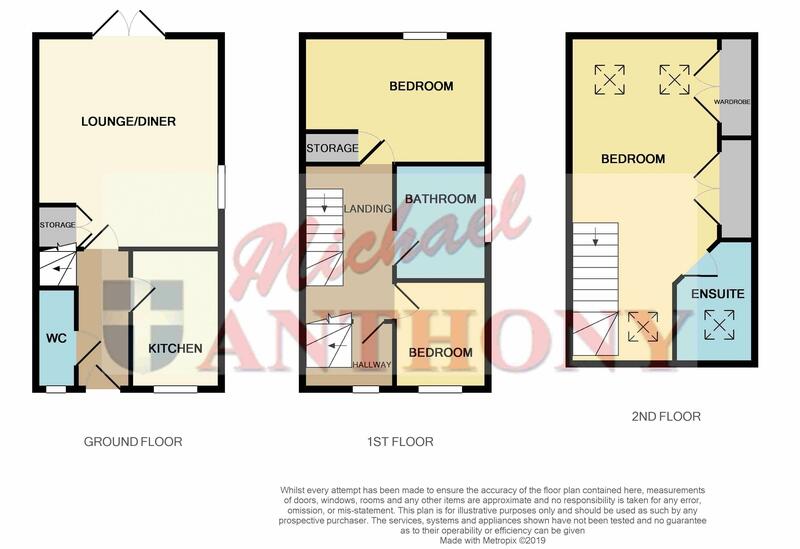 Stairs rise to the first floor landing, wood effect laminate flooring, doors to cloakroom, lounge and kitchen, radiator. Low level wc, pedestal wash hand basin with tiled splash back area, radiator, frosted double glazed window to the front. Double glazed double french doors to the rear garden, radiator, double glazed window to the side, television aerial point, understairs storage cupboard. A range of storage units at base and eye level, square edge work surface areas, tiled splash back areas, one and a half bowl single drainer sink unit with mixer tap, built in dishwasher, washing machine and fridge/freezer. Integrated gas oven and hob with extractor hood over, double glazed window to the front. Doors to bedrooms two, three and bathroom, stairs rise to the master bedroom. Double glazed window to the rear, radiator, airing cupboard. Frosted double glazed window to the side, low level wc, pedestal wash hand basin, radiator,k panelled bath with mixer tap and shower attachment, complementary tiling. Velux double glazed window to the front, low level wc, pedestal wash hand basin, fully tiled shower cubicle, heated towel rail. Single garage with metal up and over door, power and lighting. Providing off road parking for two vehicles. Enclosed by timber panel fencing with gated side access, mainly laid to lawn, outside tap, door to garage.